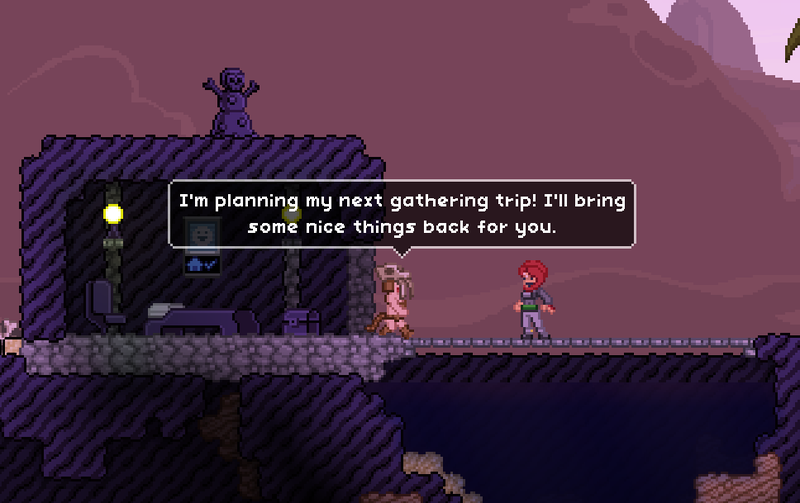 As detailed in Tiy’s earlier post, the Colony system is going to have unique NPCs based on the furniture used to make their home. 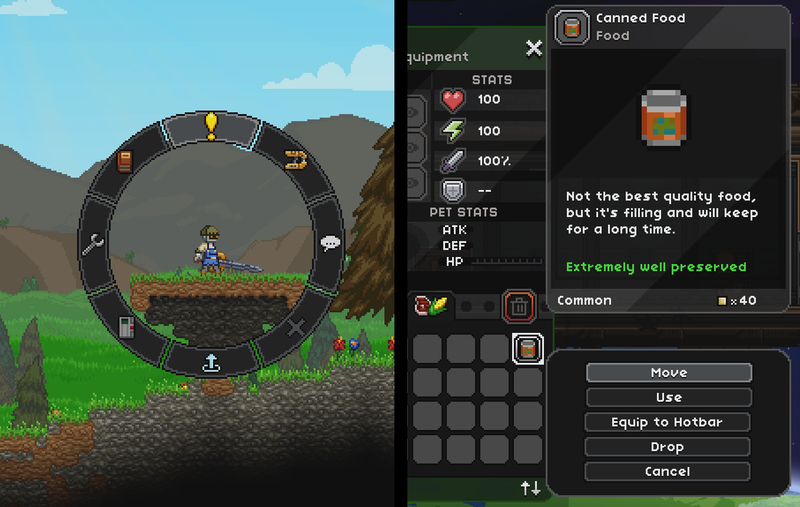 SamuriFerret is currently adding an NPC type for each sub-biome furniture set, and each one will have a unique personality and set of rewards. 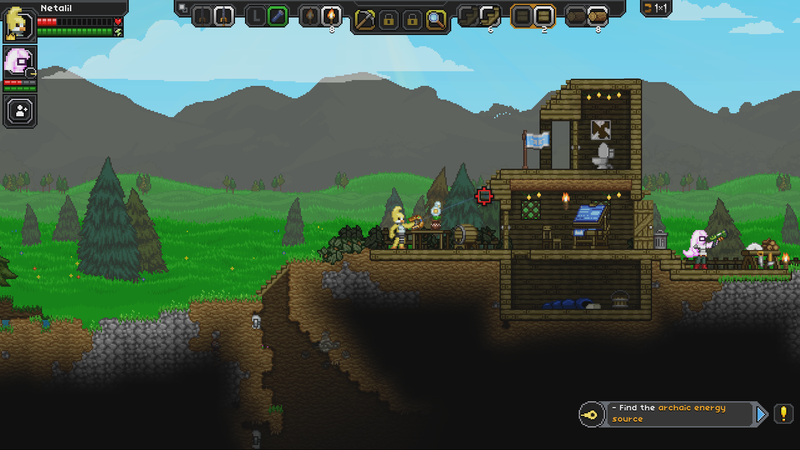 For example, here’s a tar biome house with a hunter-gatherer villager. They’ll occasionally have treasures for you that you might not find anywhere else! 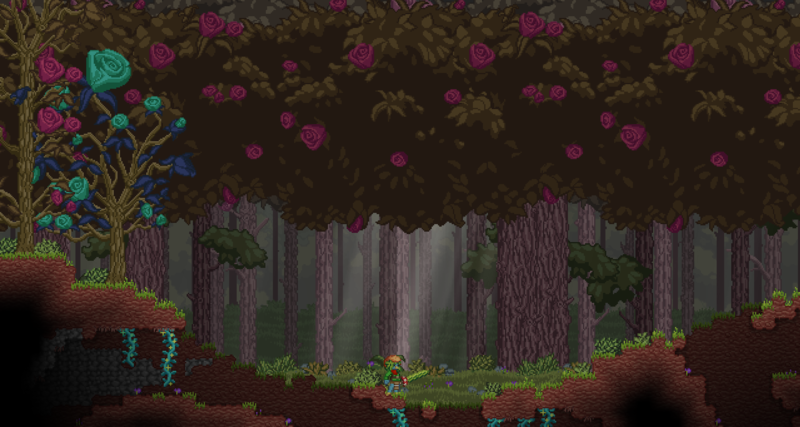 Bonus: another screenshot of improved parallaxes!